The MNS Tapir Talks are a series of forums to raise the profile of the Malaysian Nature Society among the public, by promoting media coverage of environmental concerns affecting the country. 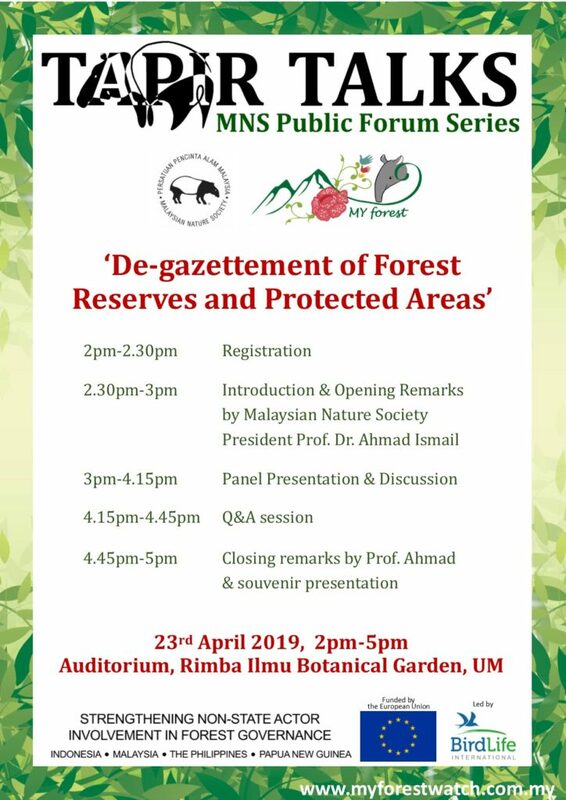 The series is spearheaded by the President of the Malaysian Nature Society, who will host, chair or moderate the sessions. The panel will comprise a selection of individuals from government agencies, expert speakers, media organisations, civil society organisations, advocacy groups, youth advocates and the ordinary public. 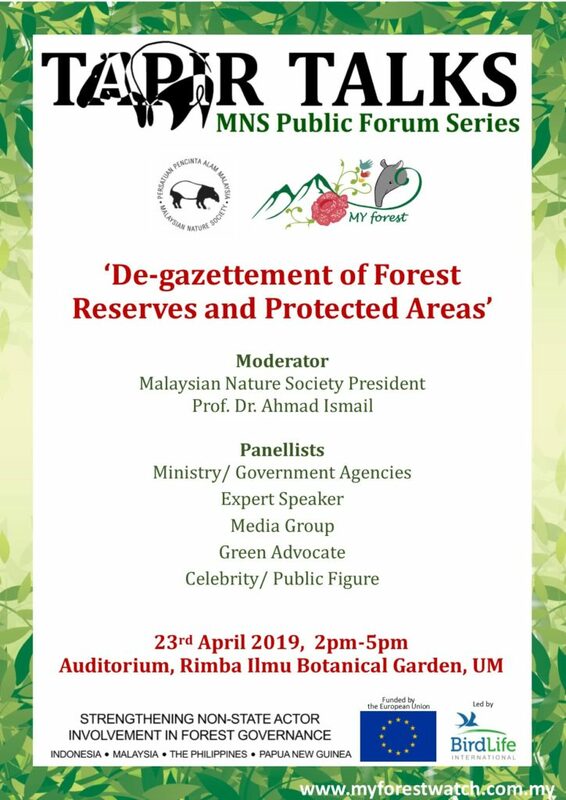 We are pleased to announce the inaugural session of the Tapir Talks Public Forum Series, moderated by Malaysian Nature Society President Prof. Dr. Ahmad Ismail. This event is open to any interested individuals. Places are limited, so do book now to avoid disappointment.